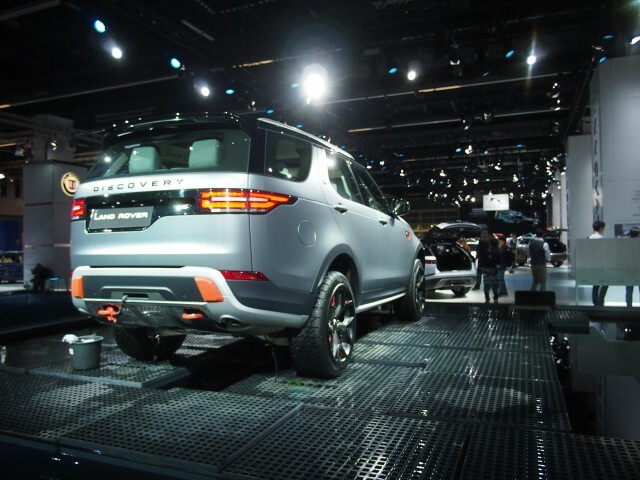 SVO designers and engineers are embedded within the Land Rover team and have unleashed their own passion for adventure to create another truly desirable and versatile vehicle in the Land Rover line-up. 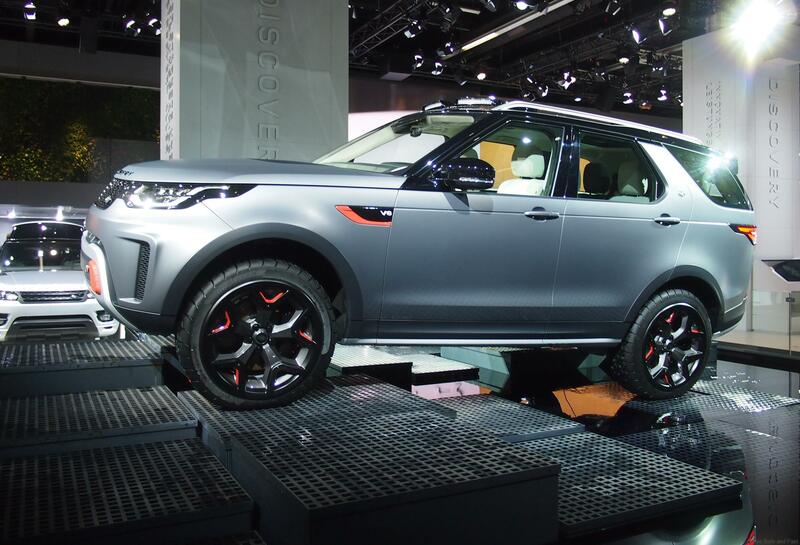 Offered with Jaguar Land Rover’s 5.0-litre Supercharged V8 petrol powertrain, tuned to deliver 525PS peak power and 625Nm torque, the Discovery SVX has a number of functional suspension modifications to enhance driver confidence when tackling the toughest terrain. 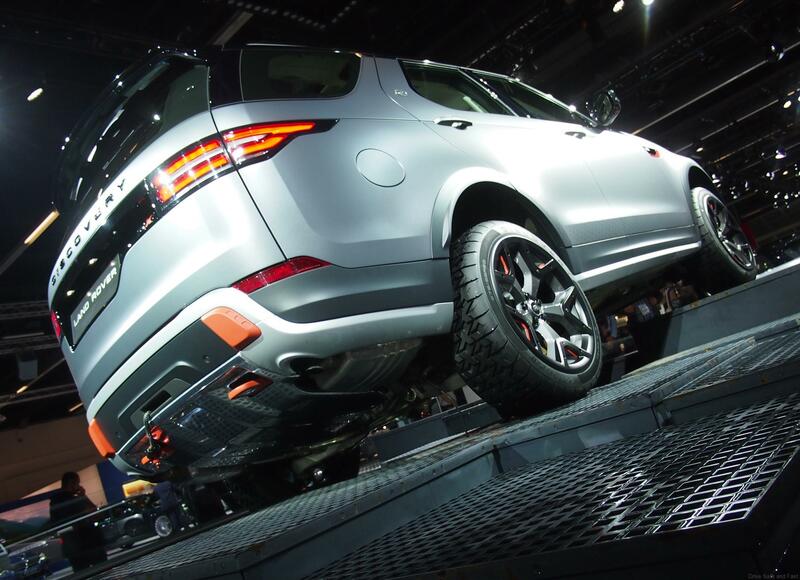 A model-first for Discovery on SVX is Hydraulic Active Roll Control (H-ARC) system, which gives increased wheel articulation and improved body control, enhancing extreme off-road traction while also reducing body roll for smooth and sure-footed on-road driving. SVX features improved approach, departure and break over angles, achieved by raising both the lightweight aluminum monocoque architecture and the four-corner air suspension system, employing long-travel dampers and revised knuckles, and fitting larger 815mm diameter 275/55 R20 Goodyear Wrangler all-terrain tyres on forged aluminum alloy wheels. The tyres’ increased side-wall height reduces contact pressure and improves performance on soft surfaces. Combined with a more aggressive tread pattern, this improves grip in muddy conditions. Discovery SVX is also equipped with active centre and electronic rear locking differentials and incorporates traction control to maximize grip on all surfaces. Complementing these hardware upgrades are software calibrations for the eight-speed Automatic Transmission with twin-speed transfer box, and Discovery’s dynamics systems including optimized Terrain Response 2, Hill Descent Control, Electronic Traction Control (ETC), Adaptive Dynamics, Dynamic Stability Control (DSC), All-Terrain Progress Control (ATPC) and variable ratio Electric Power-Assisted Steering (EPAS). Discovery SVX also features a model-first Pistol Shifter in place of the Drive select rotary shifter to offer the driver optimum control of gear selection in off-road maneuvers. In addition, the Discovery SVX gains new technologies including a 12.3-inch Interactive Driver Display TFT (Thin Film Transistor) instrument cluster, standard on HSE and HSE Luxury models. The state-of-the-art high-resolution panel provides contemporary graphics that create the impression of 3D surfaces with exceptional clarity and allow the driver to personalize the visual display. 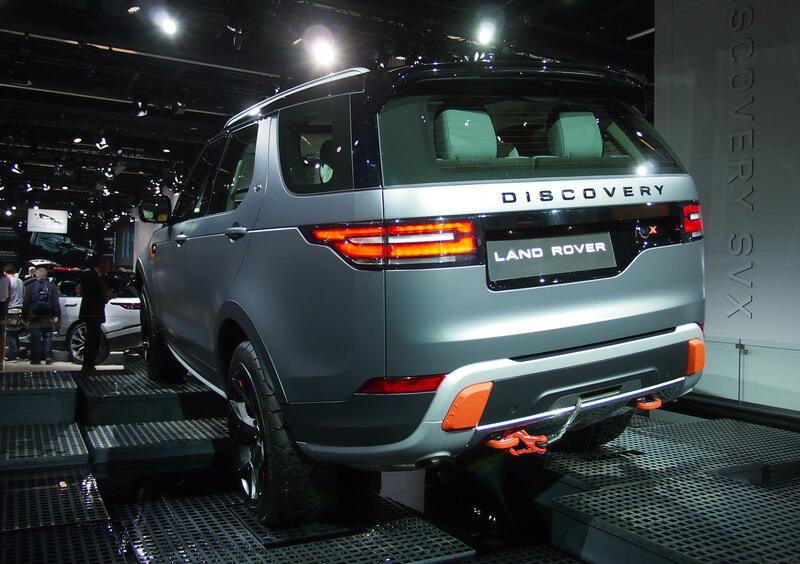 All derivatives of the latest Discovery also feature Touch Pro infotainment with Jaguar Land Rover’s 10-inch touchscreen interface on the centre console. Digital connectivity is enhanced with the introduction of 4G Wi-Fi on SE derivatives and above, providing superior connection speeds for up to eight mobile devices on the move. Optional second-generation head-up display technology also provides a full-colour display and wider functionality, even projecting 4×4 information and improved navigation displays onto the windscreen ahead of the driver, while optional Cabin Air Ionisation is available on Discovery for the first time, delivering improved interior air quality for enhanced passenger well being. ChangAn Automobile and Groupe PSA (formerly known as PSA Peugeot Citroen) have signed an agreement to co-develop a new vehicle platform to be implemented in Ding Zhou ChangAn plant, dedicated to LCV s and to develop a new one-ton pick-up for both partners. This new vehicle should meet the most stringent worldwide regulations and customers expectation with a very strong design and uncompromised quality and durability. At a first stage, the one-ton pick-up should be offered to Chinese customers and Groupe PSA overseas markets. The LCV market represents 14 million vehicles worldwide in 2016, the one-ton pickup represents 18% of this market, with a yearly 5% increase worldwide. Mr Patrice Lucas, EVP of Programs and Strategy at Groupe PSA commented: “This new product, which is complementary to the Peugeot pick-up recently launched in Africa, is in line with the core model strategy of Groupe PSA and will support our come back on this growing market segment. It will contribute to achieve the objectives set for the Push to Pass plan regarding LCVs with a target to increase volumes by 30% by 2018 and triple overseas volumes by 2021 ”. 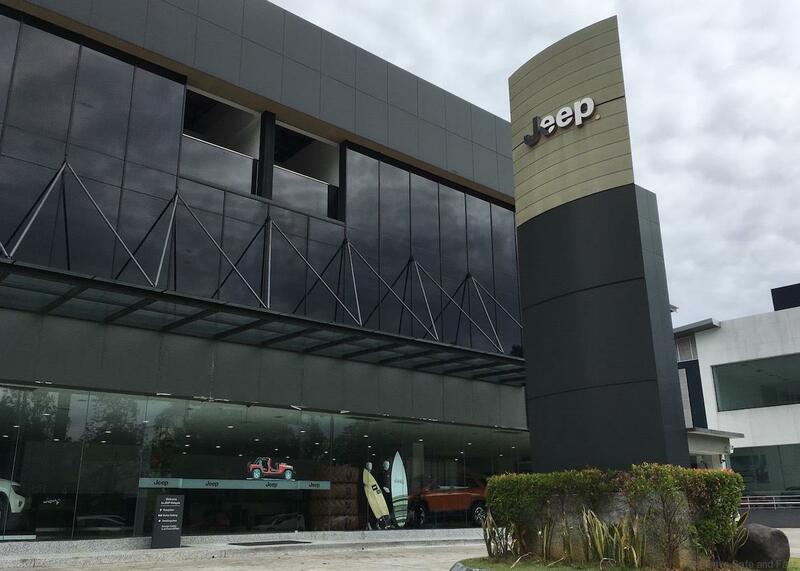 The flagship showroom of Jeep in Malaysia continues to fly its flag high and there are still shiny models in the showroom. 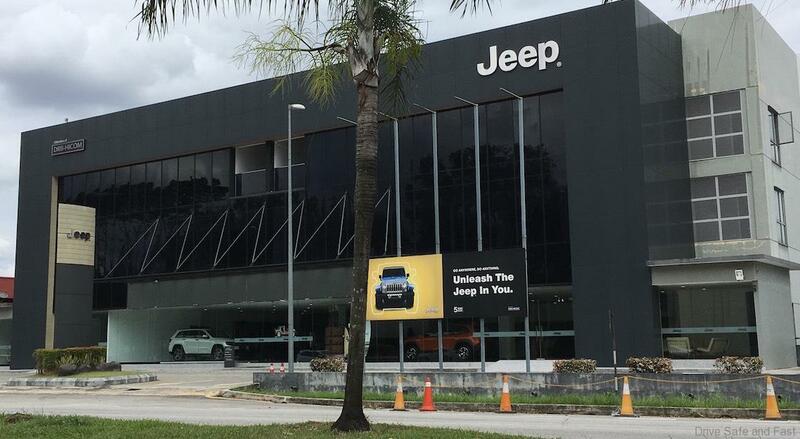 But with no new models in the horizon, no local assemble plans (CKD) and the rising US currency, can Jeep survive in Malaysia? Especially today with CKD & EEV incentives allowing Mercedes-Benz to price their SUV’s at hard to resist prices and BMW continuing to sell their plug-in hybrid X5 at a great asking price and let us not forget the ever commanding hot selling Volvo XC90 plug-in-hybrid. Jeep will continue building the current-generation Wrangler until March 2018, meaning old and new generations will be sold side-by-side for several months. 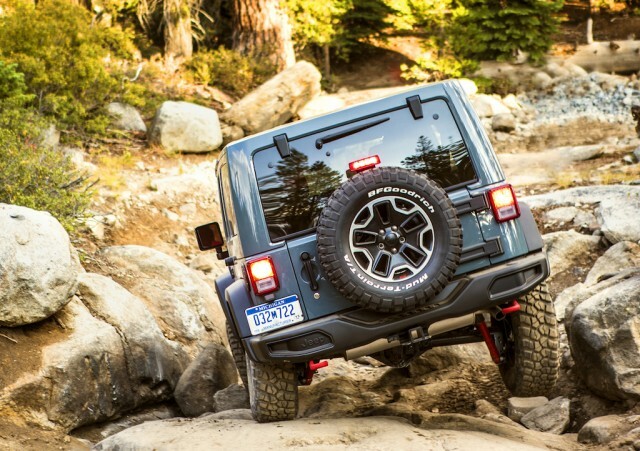 Jeep hasn’t revealed too many specifics on the next Wrangler, but information on the internet says it is supposed to retain its classic body-on-frame construction with a new aluminum-intensive body. 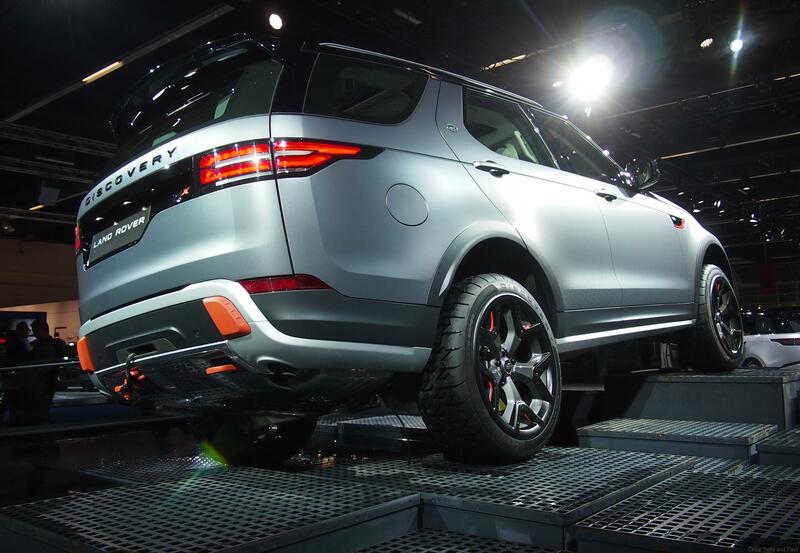 Diesel and hybrid Wranglers are also rumored, but yet to be confirmed. 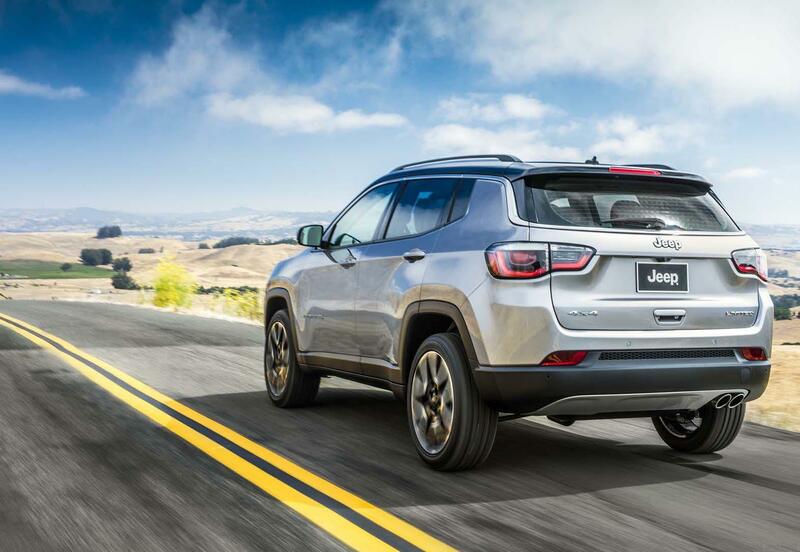 Meanwhile Chinese automaker Great Wall Motors said last month it wants to talk to Fiat Chrysler about buying over the Jeep brand. 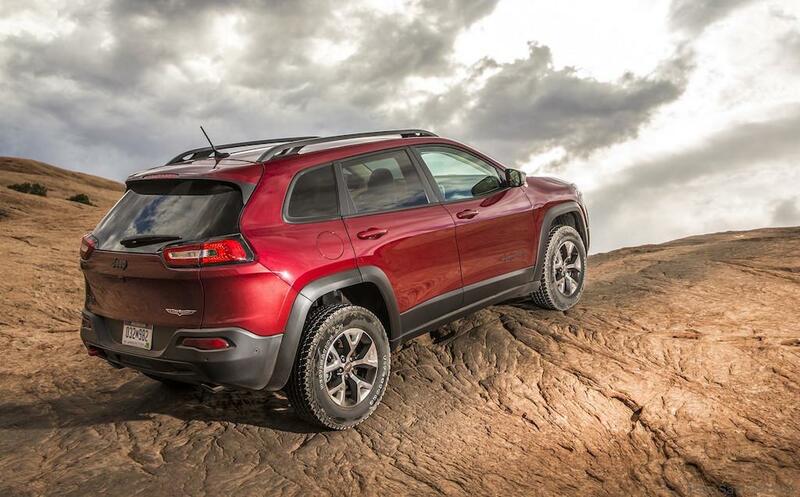 A week later, Great Wall Motors cited “big uncertainties” about buying the Jeep brand in a filing with the Shanghai Stock Exchange, according to Bloomberg News. Great Wall Motors has since not made any statements. Great Wall Motors which is controlled by the billionaire Wei Jianjun, has struggled in recent years to find success with new models in home town China, but it has since enjoyed growing revenue and profit from overseas markets. Volvo’s fully electric bus has embarked on a demonstration tour throughout the UK. Starting in Manchester at an event attended by new Mayor for Greater Manchester, Andy Burnham, the trial features ‘OppCharge’ opportunity charging via a pantograph for the first time in a major British city. Operated by First Manchester for Transport for Greater Manchester (TfGM), the vehicle will be operating on the Metroshuttle 2 route – a free-to-use service that provides access to key locations across the city centre. It will be deployed for a period of eight weeks from the middle of September. Following the Manchester trial, the vehicle will be heading for a demonstration at London’s Heathrow Airport for a period of eight weeks. This will involve transporting airport staff and customers to and from the car parks and terminals. The zero emission, fully electric bus will be recharged on the route in Manchester, taking between three – six minutes via the innovative OppCharge pantograph from ABB. Installed at the Shudehill Interchange, this is the first time the system has been used in the UK, giving flexibility and the possibility of 24 hour continuous operation. The first Volvo 7900 Electric vehicles are set to enter service in the UK in early 2018 in Harrogate. 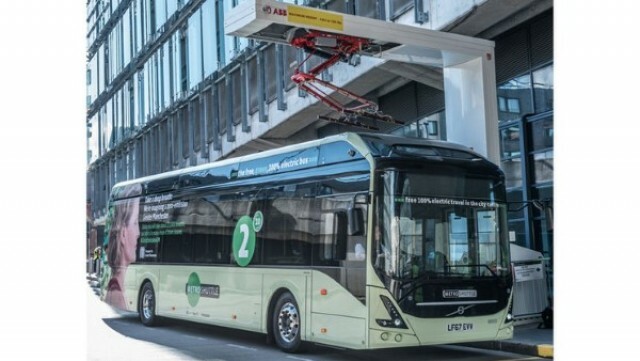 Volvo has received orders for its fully electric bus from markets including Luxembourg, Norway and Sweden. In total, Volvo has sold 3,600 electrified buses worldwide. Mazda Motor Corporation started taking orders for its new three-row crossover SUV, Mazda CX-8, at dealerships throughout Japan this month with sales to start on December 14. The CX-8 will be the flagship of Mazda’s SUV lineup in Japan. As a crossover SUV with three rows of seating, it represents a new people-moving option for customers who want to enjoy outings with family and friends but don’t want to sacrifice design or driving performance. 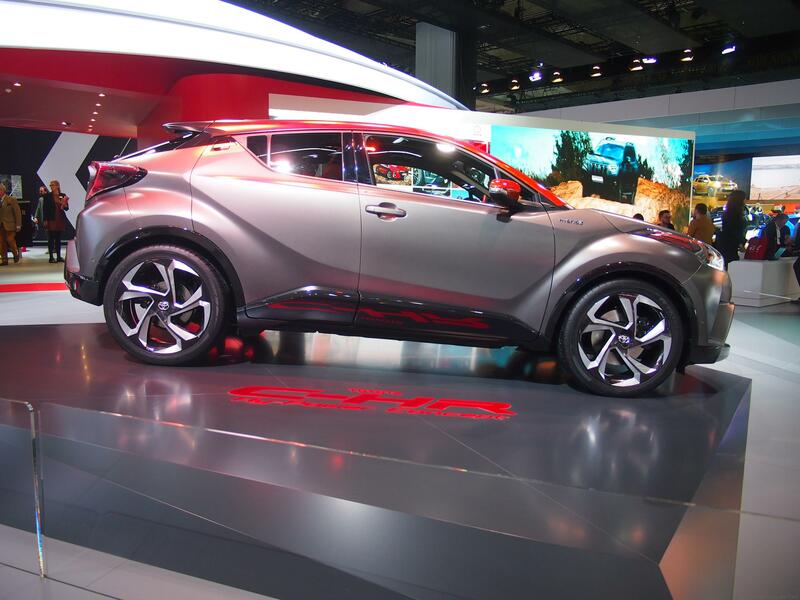 The model features the full suite of SKYACTIV technology and a sophisticated design, courtesy of Mazda’s KODO design language, imparts a premium feel. Performance is effortless around town and on the highway, and all passengers, including those in the third row, will appreciate the quiet cabin and comfortable ride. Developed under the Mazda Proactive Safety philosophy, i-ACTIVSENSE advanced safety technologies support safety and peace of mind, essential for an enjoyable driving experience. The styling brings new depth and maturity to KODO design. The idea was to create a look both timeless and edgy, something that would continue to excite owners even after many years. As the flagship model in the SUV lineup for Japan, the focus was on creating a look of class and quality, and every interior part was chosen in careful consideration of its colour and material. 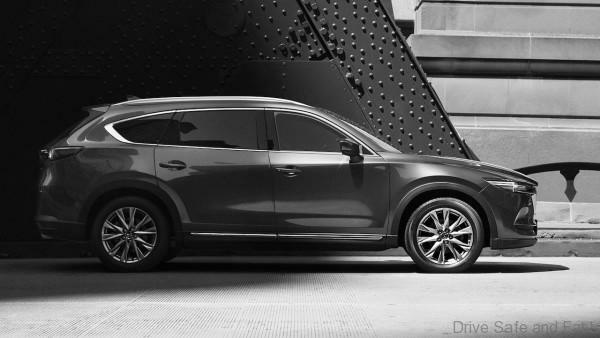 The CX-8 is powered by an advanced version of the SKYACTIV-D 2.2-liter clean diesel engine. The most significant upgrades since the engine’s introduction in 2012 realize powerful driving performance that defies the traditional image of a people mover and excellent environmental performance. With Mazda’s unique G-Vectoring Control technology on board, the CX-8 is a car that drivers and passengers alike will enjoy both around town and on long drives. 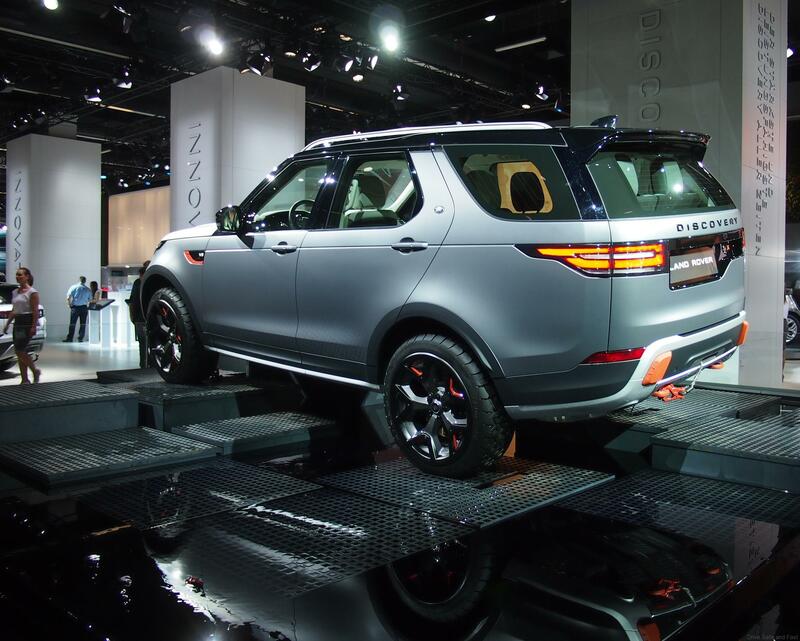 Packaging was developed under the human-centered design philosophy, with a focus on ease-of-use as a three-row SUV. Three different seat types are available for the second row, providing seating for up to six or seven and allowing customers to prioritize space or numbers, depending on their needs. Seats can be folded down in a variety of arrangements to accommodate items of different sizes in the trunk. And the cabin is quiet enough that conversation is possible between the first and third rows, making the trip enjoyable for all passengers. Some i-ACTIVSENSE advanced safety features, designed to support the driver’s recognition, judgment and operation, come as standard equipment. All model grades qualify for a “Safety Support Car S – Wide” rating under the public awareness campaign being run by Japan’s Ministry of Economy, Trade and Industry and Ministry of Land Infrastructure, Transport and Tourism. A new 360° View Monitor is also available, enhancing safety and peace of mind in various situations from backing into a parking space to passing oncoming traffic on narrow streets. 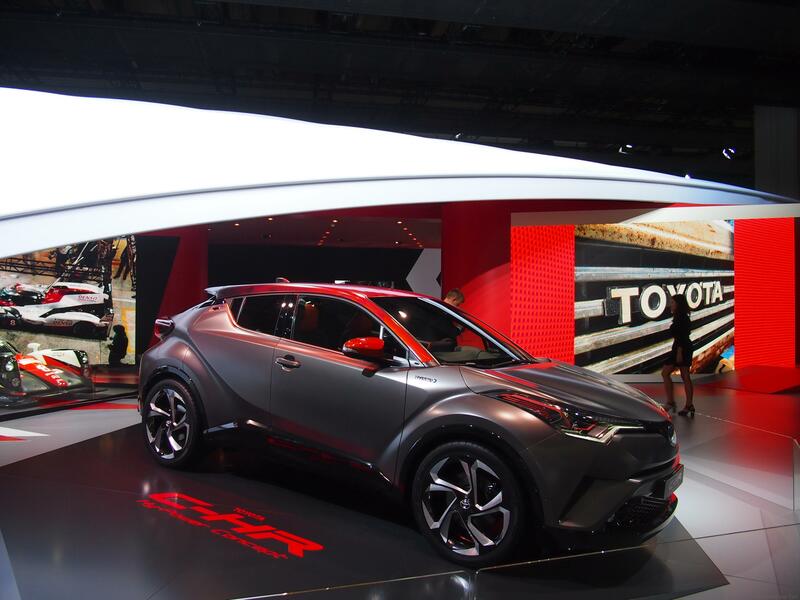 Mazda designers chose “timeless” and “edgy” as keywords for the design, hoping that a beautiful and premium-feeling design would add excitement to customers’ lives for many years. With a focus on genuine materials for a high-class look and feel, they created a new SUV design that speaks of driving pleasure, luxury and meticulous attention to detail, a perfect fit for the flagship of Mazda’s SUV lineup in Japan. A new SUV style based on a flowing horizontal theme presents a strong and powerful form with a look of maturity and dignity. The contrast between the compact cabin and the body upon which it sits creates proportions that evoke spirited driving, a refreshing departure from the boxy look of most people movers. The bulge in the shoulder area and other touches produce a look of toughness befitting an SUV while the reflections that flow over the body surface add an air of dignity. 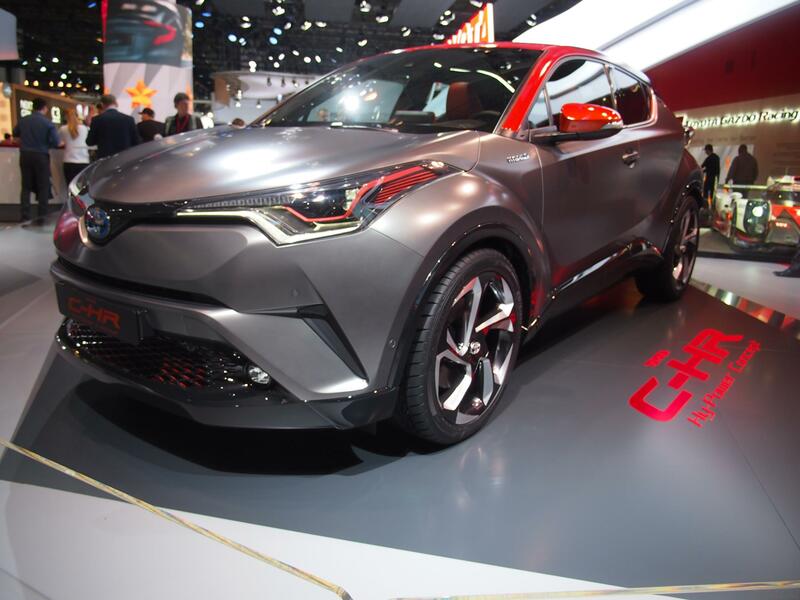 Seven exterior body colors are available, including Machine Gray and Soul Red Crystal, which were developed specifically for KODO design. Designers focused on creating an inviting interior that imparts a pleasing sense of tension for all on board. Specially selected Nappa leather upholstery and real wood trim5 add warmth and an air of authenticity that improves with age. Surrounding occupants with refinements, the cabin feels like a comfortable study and exudes an air of quality and maturity. Meters and controls are laid out symmetrically, creating a pleasant sense of tension that helps the driver focus on the road ahead. Decorative trim spreads horizontally across the dash, creating an expansive feel. Colors and textures were chosen to produce an atmosphere of affluence and composure. 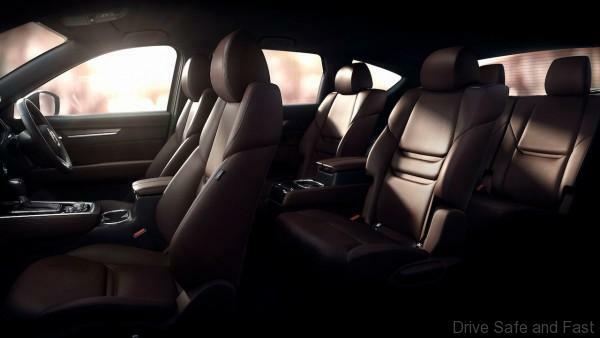 Four interior packages are available, two featuring genuine leather and two featuring fabric. With the XD L Package, the upper section of the interior is black and the lower section matches the color of the seats. This chic, two-tone design creates an atmosphere of composure and warmth. Updates to the SKYACTIV-D 2.2-liter clean diesel engine maintain the engine’s exceptional fuel economy while raising maximum output from 129 to 140 kilowatts and maximum torque from 420 to 450 Newton meters. Rapid Multi-stage Combustion, a technology which injects small bursts of high-pressure and extremely fine fuel spray into the cylinder in quick succession, improves combustion efficiency, reduces harmful emissions and makes for a quieter engine. Other new technologies include stepped, egg-shaped piston heads, ultra-high-response multi-hole piezo injectors, and a variable geometry turbocharger. All models come with the SKYACTIV-Drive six-speed automatic transmission. Customers can choose between front-wheel drive and the i-ACTIV AWD all-wheel drive system. G-Vectoring Control, which improves stability by controlling engine torque in response to steering inputs, is standard on all model grades. The suspension is structurally the same as that of the larger CX-9 (only available outside Japan), but damping and other parameters have been tuned especially for the CX-8. A rebound spring in the front damper enhances stability in cornering. Seventeen-inch ventilated (in the front) and solid (in the back) disc brakes paired with a large master cylinder provide strong braking and excellent control. The cabin was designed for ease-of-use as a three-row SUV and to provide a comfortable and high-quality space for all occupants. Entry and exit are easy and even adults can sit comfortably in the third row. A flexible luggage compartment and variety of storage spaces cater to a wide range of purposes. The cabin is comfortable and quiet enough that all passengers can enjoy conversing while on the move. Packaging was designed in line with ergonomic principles. The first row allows the driver to find the ideal driving position, the second row is comfortable for people of larger builds and the third row can easily accommodate adults up to 170 cm tall. External dimensions suit Japan’s roads and parking lots, with overall length, width and height at 4,900 mm, 1,840 mm and 1,730 mm respectively. Depending on model grade, customers can choose between two different types of captain’s chair seats (6-passenger layout) or a bench seat (7-passenger layout) for the second row. In the XD L Package model grade, a large console box with USB charging ports separates the captain’s chair seats. Sound absorbing materials in the headliner and around the D pillar help create a cabin quiet enough for all occupants to converse without raising their voices. Wind noise while driving is reduced thanks to a parting seal around the upper section of the liftgate and aerodynamic roof rails (standard with the XD L Package) designed not to disturb the air flow. A dynamic damper in the front suspension and damping materials in the rear wheel fender panel help to suppress resonance in the vehicle body, a major cause of road noise. From reducing risk factors to mitigating damage in a collision, the CX-8 was designed to provide excellent safety performance in every area so friends and families can enjoy the driving experience with peace of mind. 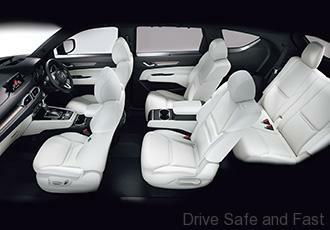 i-ACTIVSENSE advanced safety features2 come standard in every model grade. Available with a new 360° View Monitor2 that displays vision from cameras mounted on the front, back and sides of the car on the center display. The view changes for each driving scene, helping drivers to avoid hazards by enabling them to check their blind spots and distance from any obstruction. A bifurcated structure is used below the C pillar for the first time in the lightweight and rigid SKYACTIV-Body. An active bonnet comes standard on all models. The rear end of the bonnet pops up about 10 centimeters the instant that a collision with a pedestrian is detected, creating a space between the bonnet and engine that can reduce the impact on the pedestrian. 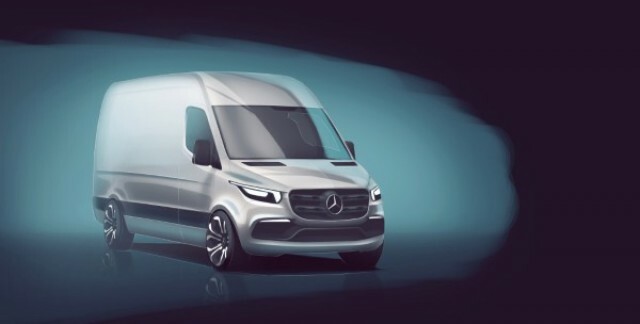 Mercedes-Benz Vans has unveiled the first details of the new Sprinter through a design sketch ahead of its debut. With its new look, the Sprinter once again shifts the boundaries of its segment. The vehicle presents itself consistently in the acclaimed design language of Mercedes-Benz and embodies the opposites of this philosophy: emotion and intelligence. The front of the Sprinter presents itself with horizontal and clearly drawn headlights in a distinctive and athletic manner. New features include the comprehensive introduction of driving assistance systems and connectivity services in combination with new telematics, which will bring a leap forward in efficiency for vehicle and fleet management. Moreover, the new Sprinter can be even more precisely adapted to individual transport and sector requirements thanks to a considerably extended range of variants. With this combination, the new Sprinter is a unique proposition as an overall system solution in the van market. The market launch will commence in Europe in the first half of 2018, with the other markets to follow. Further details of the vehicle will be announced in the coming months. Trucks powered by liquefied natural gas (LNG) produce significantly lower CO2and nitrogen oxide (NOx) emissions, cause virtually no particulate emissions and are significantly quieter than conventional trucks. This is why Volkswagen Group Logistics, together with Scania, a brand of the Volkswagen Truck & Bus Group, and the forwarders of the Volkswagen Group are in favor of the use of LNG as a truck fuel. Federal ministries (Ministries of Transport and Economic Affairs) and associations support this commitment, together with gas suppliers. 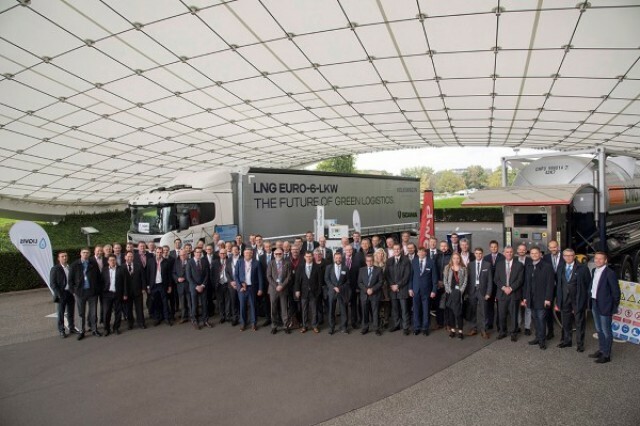 At yesterday’s LNG Truck Day in Wolfsburg, all concerned spoke in favor of a shared objective. They want to make the transport activities of the Volkswagen Group more environmentally compatible. In future, more than 100 Scania LNG trucks are to be used on the roads of north Germany. To achieve this objective, forwarders are to receive support for the purchase of trucks and new LNG refueling stations are to be constructed. Volkswagen Group Logistics, Scania, the gas suppliers participating and 18 regional forwarders all gave their support to sustainable logistics. More than 100 Scania LNG trucks are to be made available to the Group’s forwarders in the north of Germany. The ministry will provide forwarders with a support package for the purchase of trucks. Gas suppliers are to construct LNG refueling stations in the region. To achieve further progress with the implementation of these projects, the participants met at LNG Truck Day in Wolfsburg. Reservations concerning the use of the new technology and other obstacles are to be eliminated and the expansion of the LNG refueling network in Germany is to be actively supported. LNG is considerably more environmentally compatible than conventional fuels. Scania trucks with an LNG powertrain emit up to 20 percent less CO2 than comparable diesel engines. The use of regional and local biogas even reduces CO2emissions by as much as 90 percent in addition to the improvement in the carbon dioxide balance, these powertrains emit some 95 percent less nitrogen oxides (NOx). Less particulate matter is produced during combustion and particulate emissions are virtually completely avoided (-95 percent). Compared with diesel-engined trucks, the noise levels produced by combustion are reduced by about 50 percent (-3 db). Iveco has announced that it is taking part in this year’s “Blue Corridor-2017: Iberia – Baltia’ Rally with the Stralis NP, the brand’s first natural gas truck specifically designed for long-haul operations. The “Blue Corridor-2017: Iberia – Baltia” is actually a rally event for vehicles that are powered by natural gas, where every contestant will have to drive close to 6,000 kilometres. Organized every year, the main aim of the rally is to demonstrate the benefits of natural gas as a fuel of the future. 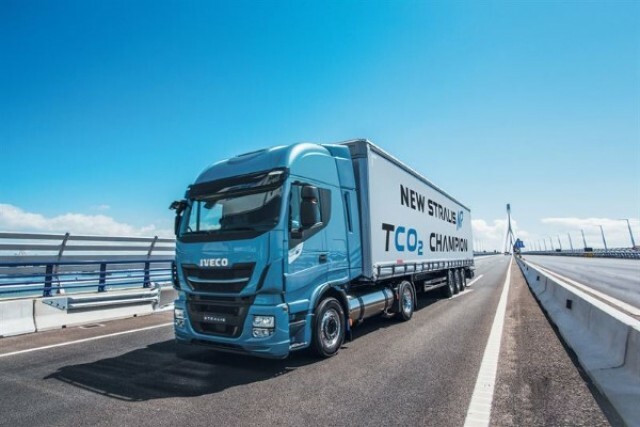 This year’s round has already begun in Lisbon yesterday, and Iveco is participating with its Stralis NP AS440S40T/P, which features an IVECO Cursor 9 LNG/CNG Natural Gas engine that delivers the best power rating for this fuel: 400 hp with 1,700 Nm torque. Stralis NP is the first natural gas truck specifically designed for long-haul operations and the only truck running on Compressed and Liquefied Natural Gas to deliver the power rating, comfort, transmission technology and fuel autonomy to suit long haulage missions. With a record range autonomy of up to 1,500 km, the Stralis NP makes natural gas a viable solution for international long-distance transport. The vehicle will drive across 12 countries with the aim of raising awareness of the benefits of LNG use in the transport sector with the general public, the business community, experts and media. This year’s edition of the Rally focuses on Liquefied Natural Gas for freight transport. This sustainable fuel combines the benefits of excellent environmental performance with cost efficiency, and provides a viable alternative to diesel for freight transport that is available now. 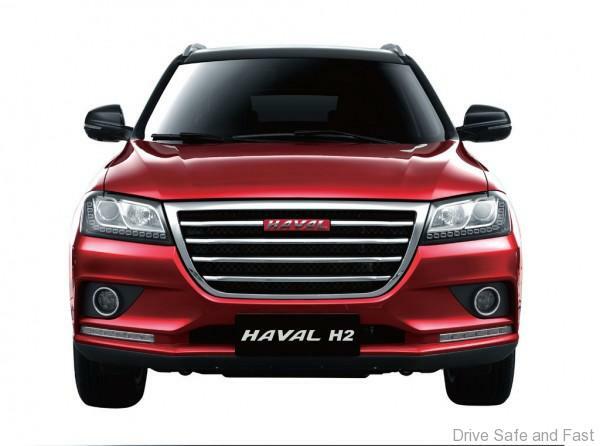 The official distributor for Haval vehicles in Malaysia, Go Auto, has launched locally-assembled (CKD) H2 which comes with new colour. With prices fixed competitively between RM98,950 (Comfort Auto variant) and RM101,950 (Premium Auto) inclusive of insurance and road tax, the Haval H2 CKD features a new rim design and an additional colour, Haval Blue, on top of an existing options- Haval Red. 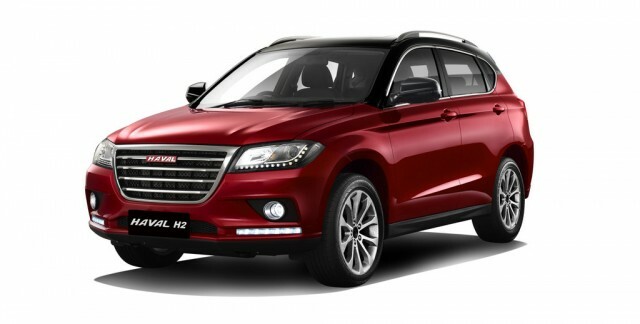 H2 is also on the list of Haval models to be exported to Batam, Indonesia and Cambodia. The Haval H2 CKD will be maintaining its specifications that come with a turbocharged, 1.5 litre VVT petrol engine which produces 147 hp at 5,600 rpm and 210 Nm of torque from 2,200 rpm to 4,500 rpm, paired to a six-speed automatic transmission. Externally, the Haval H2 CKD comes with halogen headlamps, with LED daytime running lights. It also comes with a chrome grille which enhances its aesthetic values. Other than a new rim design and colours, the Haval H2 CKD is identical to its CBU version which include keyless entry system, button start system, multifunction meter panel, steering wheel control buttons, dual-zone automatic air conditioning, audio and video entertainment system, a 6-way electrically adjustable driver seat and adjustable sunroof. On the safety front, six airbags (dual front, dual front side and side curtain), reverse sensors and cameras, a tyre pressure monitoring system, electronic stability programme and front active headrest to minimize spinal injury in case of collision are in place. 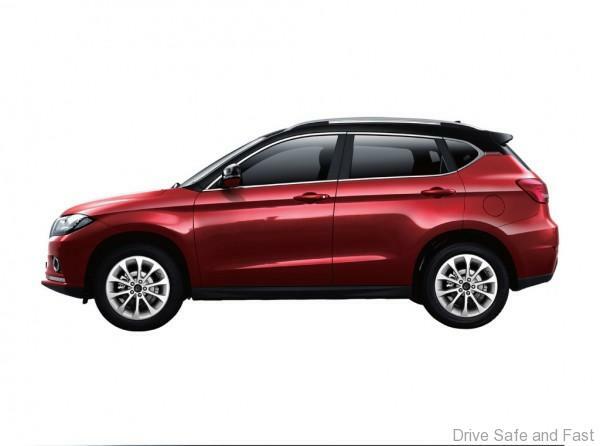 The Haval H2 CKD also achieved a maximum five stars in China’s C-NCAP Crash Test. Meanwhile, Go Auto offers a “Buy Back Guarantee” scheme to ensure its vehicle owners to receive 50% of its resale value should the vehicles be resold to the company within five years. 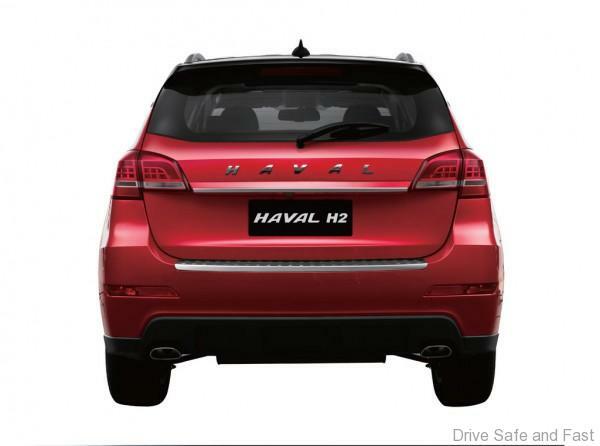 For more information on the Haval H2 CKD, visit www.haval.my.